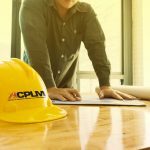 Your landscape benefits your workplace in a multitude of ways, from lowering cooling costs to improving employee satisfaction. 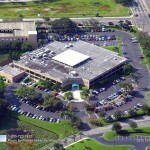 In fact, researchers have found that beautiful landscaping increases foot traffic and tourism. Guests and travelers are willing to travel further, pay more, and shop longer in buildings with aesthetically pleasing lawns and gardens. 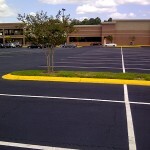 If you don’t take care, however, your landscape could cost you a great deal in parking lot, sidewalk, and curb repairs. 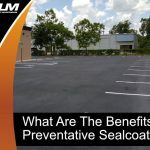 Though you may worry about the effect your newly installed asphalt has on your landscape, you should consider how your landscape affects your asphalt. Plants have extensive root systems that constantly search for nutrients and water. The average tree, for example, may have roots that extend four to seven times the distance of the tree’s crown. As these roots spread and grow, they can lift your asphalt, applying slow and gradual pressure until the paving bulges, buckles, and breaks. Before you plant any trees in your parking lot islands, make sure to choose tree species with manageable root systems and minimal leaf or fruit drop, such as honey locust, Japanese zelkova, or lacebark elm. 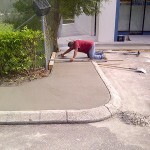 Your islands should also have plenty of room for trees to reach their full size before they come close to your paving. 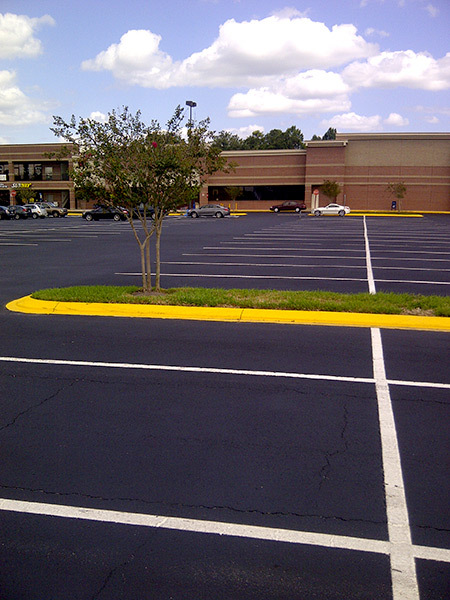 If you already have well-established trees in your parking lot, monitor your parking lot closely. If you see any signs of cracking, or if you can see roots near the surface, call in a tree-trimming expert to cut the offending roots and to install a chemical root barrier to prevent further growth. Depending on the tree’s species and root system, you may have to completely cut down and remove the tree to avoid repeat damage to your paving. 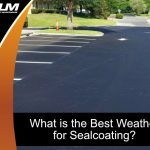 Your paving sees all kinds of weather throughout the year, and naturally, it needs to withstand a little rain now and again. 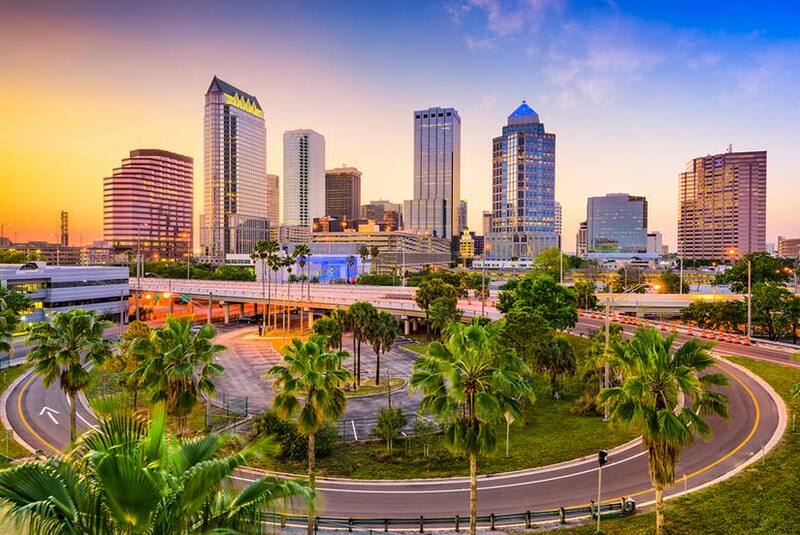 In fact, Tampa, FL sees an average of 46 inches of precipitation per year. 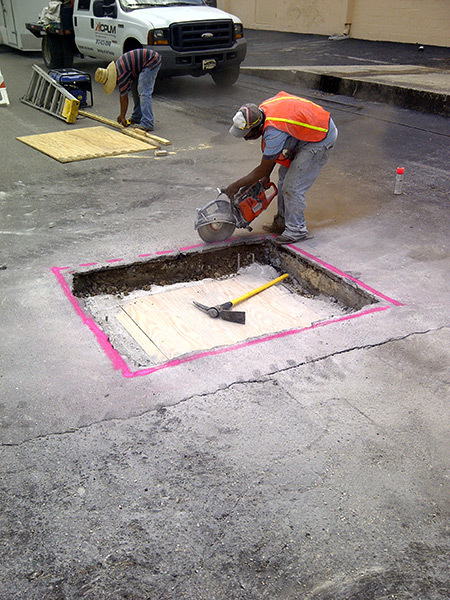 Typically, roads and pavement have a slight slope that directs the water away from the asphalt to a safe drain, catch basin, or gutter. 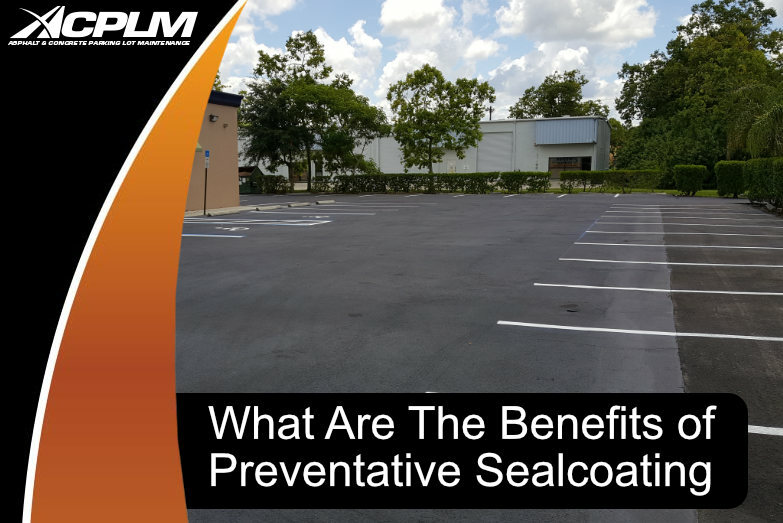 Sealcoating also acts as a waterproofing agent, preventing water from seeping through the pavement. However, misplaced sprinklers, overflowing drip lines for flowerbeds, and leaking hoses can direct a lot of water to a small space. Although the numbers vary widely, a sprinkler head can deliver anywhere from one to six gallons per minute. A slowly dripping garden hose could leak about five gallons of water per day into the ground by your asphalt. 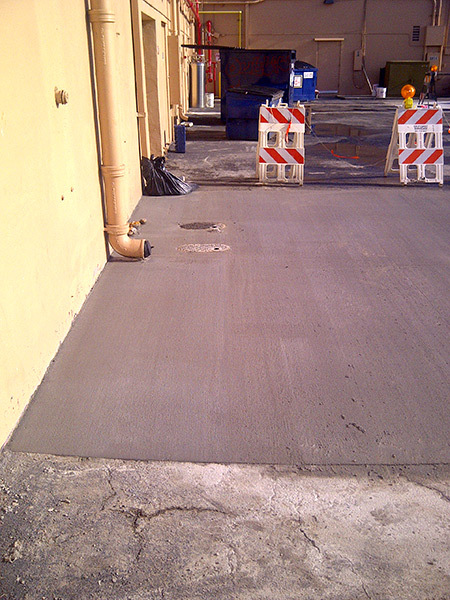 Over time, the excess water will penetrate the pavement and soften the base layer. 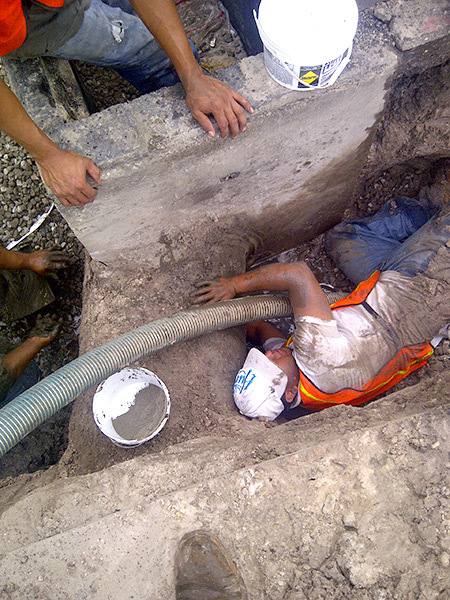 As the base softens, the soil may compact and sink, resulting in depressions and potholes. To ensure proper drainage, make sure your sprinkler heads aim away from your paving. If you notice sprinklers that frequently leak onto your asphalt, consider replacing them or capping them off entirely. Additionally, have a professional regularly inspect your irrigation system for leaks, puddles, and pools before they cause permanent damage. Many of your plants may require regular fertilization to stay healthy, lush, and green. 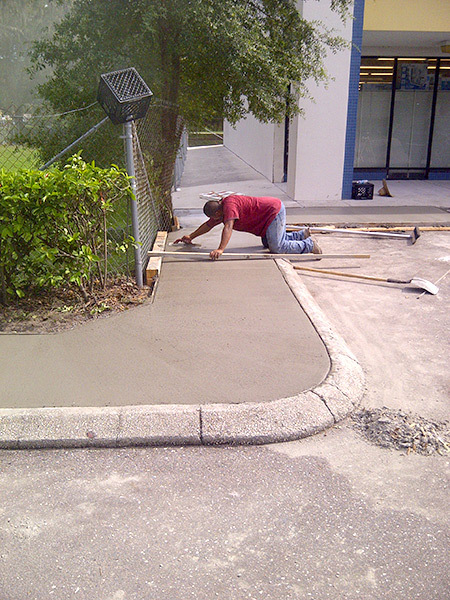 And generally, fertilizers are safe for asphalt and concrete surfaces. Some airports even use pure urea garden fertilizer as ice melt because it doesn’t damage the runways. But keep in mind that not all fertilizers are asphalt friendly. Some brands contain iron that discolors your paving. 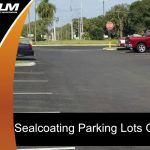 These spots take a great deal of scrubbing to remove, and in some cases, the fertilizer will eat away at the asphalt’s sealcoating until the surface loses its luster. If you, your landscaper, or your gardener happens to spill fertilizer on your asphalt, be sure to sweep it away quickly. Don’t try to spray the fertilizer to dilute it, as the water will trigger the oxidation process and leave you with rust-colored stains. 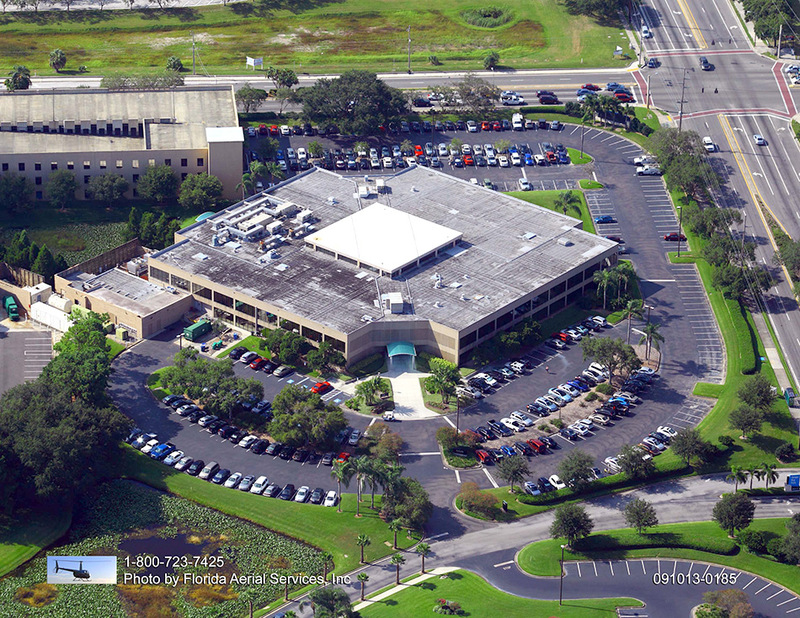 When you take care of your landscape and your paving, you can ensure that your office and parking lot look great year round. 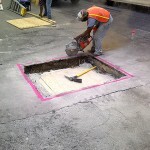 But if the damage has already been done, don’t wait to call in a professional paver to repair any cracks or potholes. 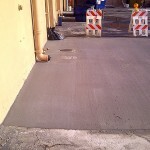 The right paving company will not only seal any gaps but also recommend ways to extend your paving’s lifespan.